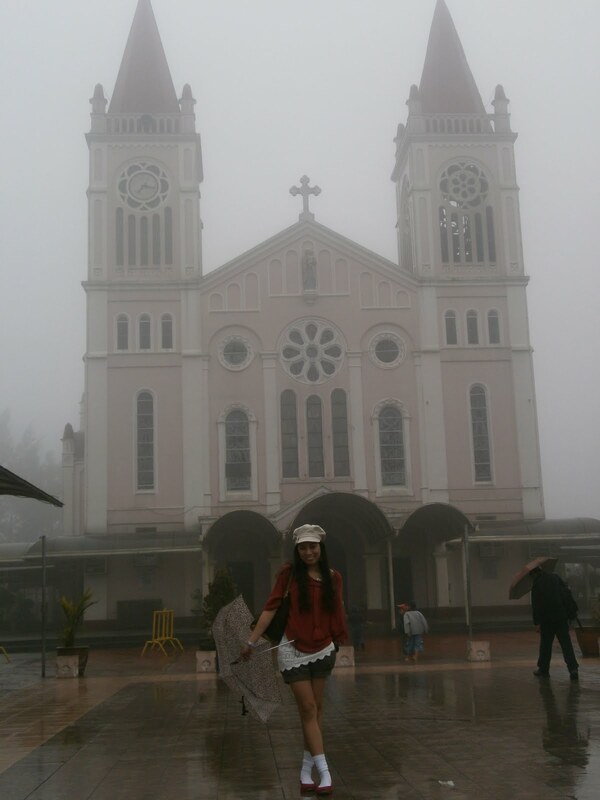 There are no really old churches in Baguio, at least none that I am aware of, and by old I mean centuries old. 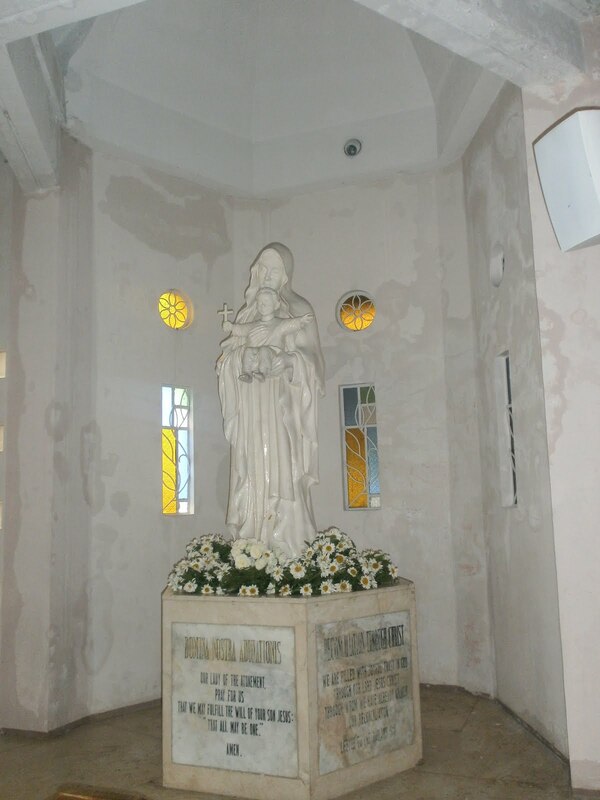 But they do have the lovely Our Lady of the Atonement, or Baguio Cathedral, built in the 1920s-1930s. 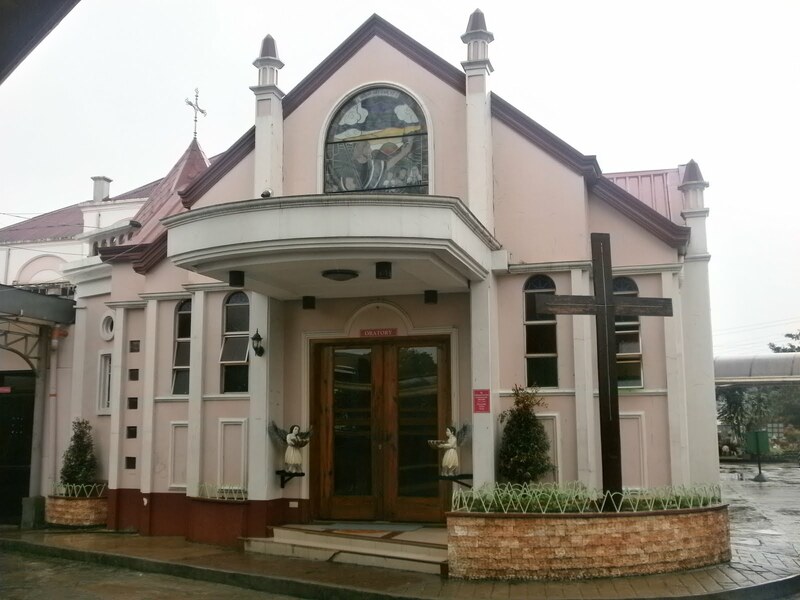 This church is probably the most recognizable structure in the entire city with its distinct rose-colored walls, twin spires, and location – it’s perched on a hill off Session Road and there’s a viewing deck where you can see downtown Baguio. But perhaps the most famous feature of the church is the flight of stairs leading up to it. For those with weak knees or who wish to avoid climbing the flight, you can just get your taxi to drive you directly to the church doors or use the front entrance facing the main road. 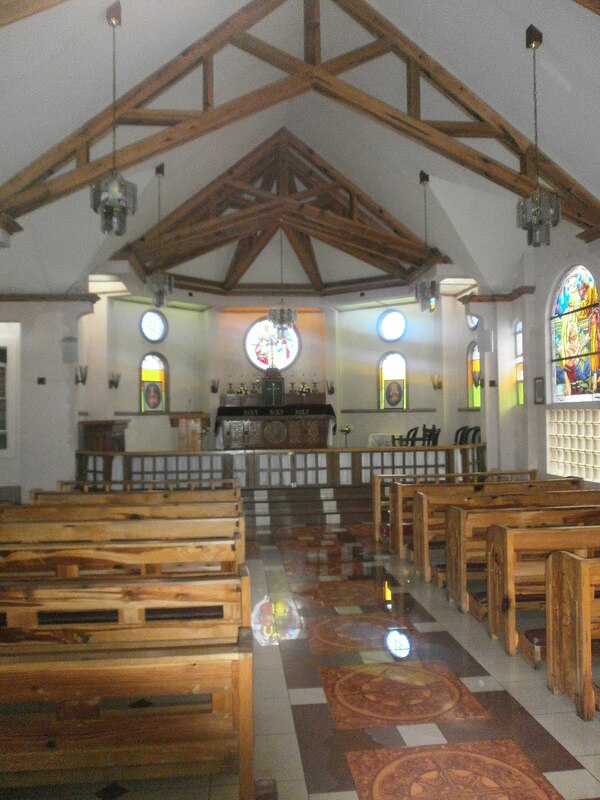 A little trivia (it’s getting obvious how I just love giving out trivia) – the Baguio Cathedral is one of few churches in the country that offers the Latin mass. 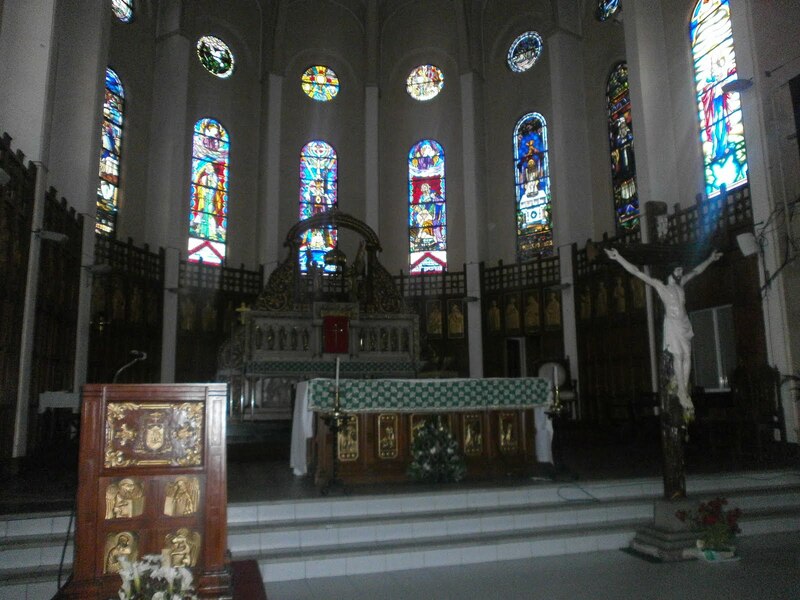 Every Sunday at 730 am and 3 pm, Latin mass is offered in the chapel at the back of the church. Do check for the schedule though as it might change. 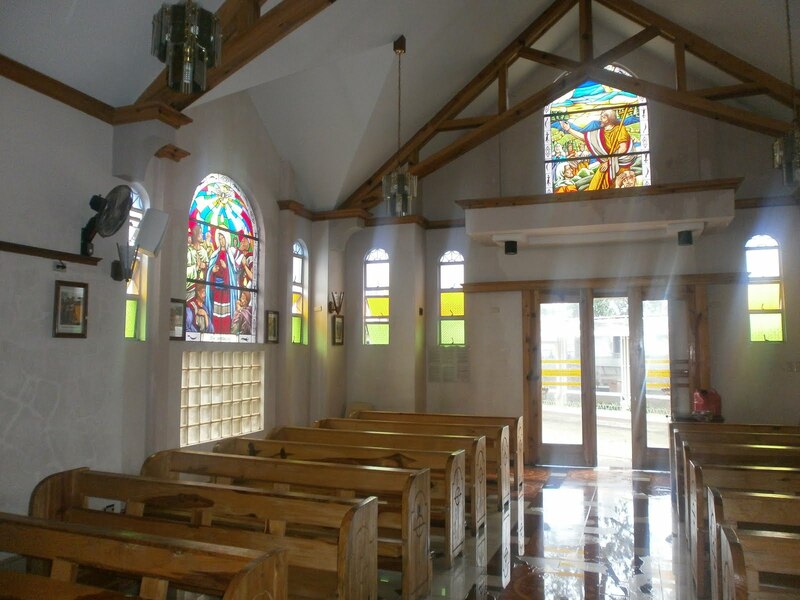 I wasn’t able to attend but hubby said it’s much shorter and less pompous than the Latin mass in Taguig and Quezon City (another church that offers the Latin mass is the St. Therese in Newport City).